Lazy summer lunches on the porch are the best. I could spend two hours. 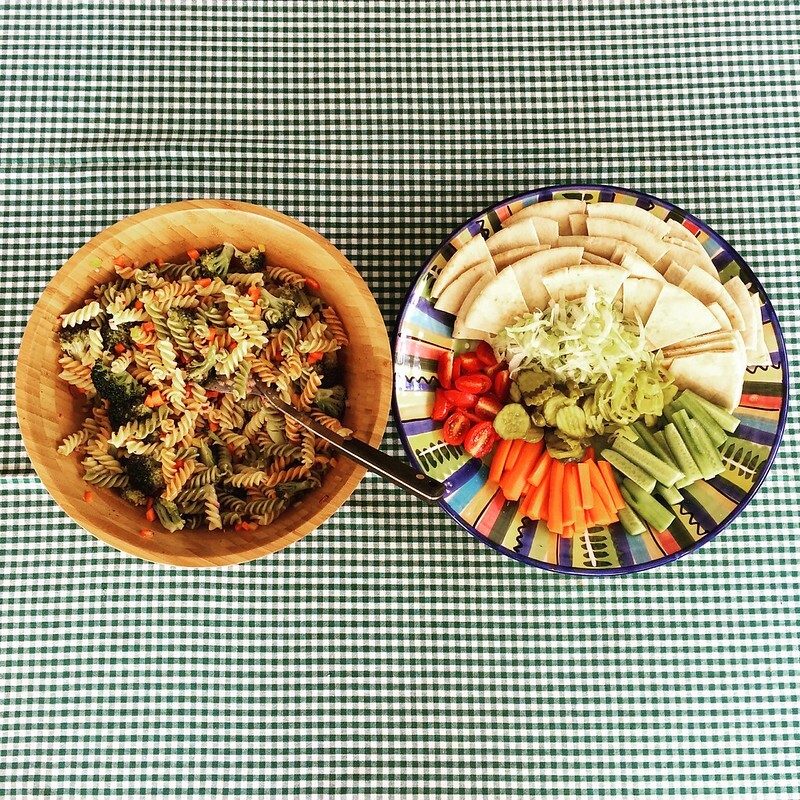 It’s all about fresh veggies and fruit, and pasta salad, of course. I made this pasta salad up on the fly (easiest thing to cook, ever) and made a really tasty dijon champagne vinegar dressing for it. What other combinations should I try?